Sikeston R-6 Practical Nursing Program is among the top 20 best LPN programs in the state! 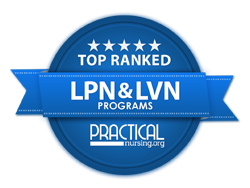 With roughly 45 Licensed Practical Nurse programs available throughout the state of Missouri, PracticalNursing.org tabulated state-testing scores for the various vocational schools, private nursing schools and community colleges across Missouri and prepared a list of the top 20. Sikeston’s program was ranked No. 17 and received an overall score of 95.74.